Relax on the front porch while watching the afternoon golfers or the beautiful majestic sunsets. 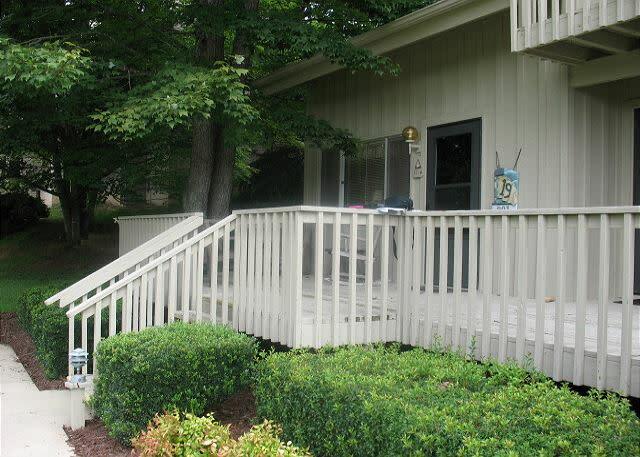 Conveniently located on the 3rd fairway of Rumbling Bald Golf Course, this corner unit has privacy and a decorator’s touch. 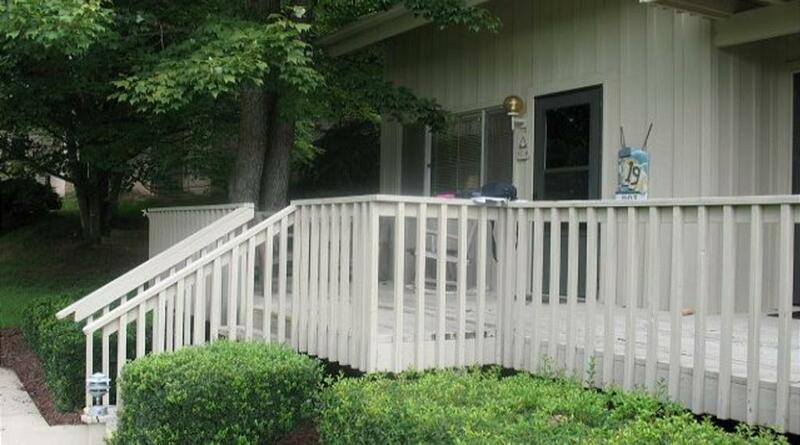 The master is located on the main living level with 2 queen size beds and master bath. The second floor bedroom, loft style, also has 2 queen size beds and a bath. This bedroom opens to a private deck over looking common grounds of the resort. The living room has a pull out queen size bed. The kitchen is fully equipped and opens to the dining area for entertaining. Then continue your living space to the back porch area with a table, chairs. Watch for wildlife, the deer love it here! Amenities for the resort of Rumbling Bald are in abundance, you will not be bored! Enjoy golf, boating, tennis, basketball, swimming, spa, workout room and so much more!!! Restaurants are within walking distance. You will have such a wonderful time; you will be back again and again!